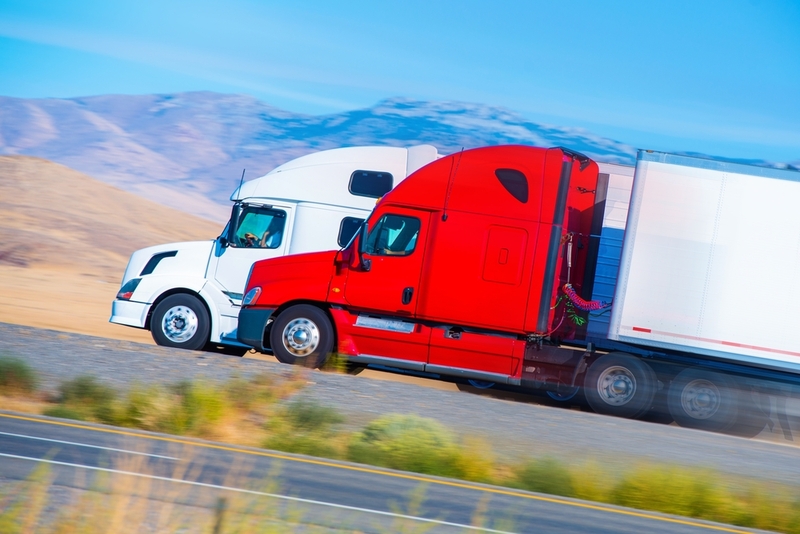 The soft ELD mandate last December contributed to a red-hot freight market that had started to show signs of life in the summer. Hurricanes Harvey and Irma and a strong holiday retail season further increased demand over capacity, and looking into the spring, many industry observers expected massive disruptions on April 1st when the FMCSA began its hard enforcement of the ELD mandate. It didn’t turn out that way, though. Industry compliance with the mandate was already above 90% by April and carriers had started adapting their behavior to run legal on the more strict electronic logs. SONAR did not register a large bump in the tender rejection index—or ‘turndowns’—indicating that freight demand and trucking capacity were still relatively well-balanced. We saw no data to suggest a massive drop-off in truck productivity, and today we reported that SONAR is actually showing an increase in our “HOS Daily Driving Utilization Index” (SONAR code: HOS11). Data from ELD vendors feeds that index to help us determine how much of drivers’ 11 hours are dedicated to actually putting miles on the road. Before the ELD soft mandate, drivers were getting 6.52 productive hours a day on average; but now they’re logging 6.8 hours a day, and pushing up toward 7 hours. We calculate that drivers managing their hours of service properly are recovering an additional $54 per day. Despite short-term stability, used Class 8 truck sales volumes were up 10% year-to-date, according to the latest release of the State of the Industry: U.S. Classes 3-8 Used Trucks, published by ACT Research. The report also indicated that the average price of total used Class 8 trucks rose 2% y/y, while average mileage fell 1% y/y and the average age of used Class 8 trucks dropped 4% compared to the same time in 2017. Industrial output has been climbing for three straight months, and there have been some encouraging, albeit inconsistent, signals from the Trump administration about the risk of further tariffs in the United States’ bilateral relationship with China. Top-tier media outlets like the Washington Post are finally reporting on the driver shortage (see above), which, as Donald Broughton pointed out at Transparency18, is a double-edged sword. “I like it when my trucking companies are reporting they are having trouble finding drivers …. [because] when they have it all figured out, the cycle is over,” Broughton said. The national freight market had a somewhat soft spring season, but was still quite strong year-over-year, and we’re starting to see signs of life in markets like Dallas, where outbound turndowns have increased from 15% to 17% in the past few days.